An independent selection of the best things to see and do in Cambodia. No paid placements, no advertorial. While many still confine their Cambodian travels to the temples of Angkor, an increasing number of travellers are discovering that the capital Phnom Penh, the southern coast and a number of provincial towns also offer some great travel experiences. Here we outline things to see and do in Cambodia. Temples, history and museums - charting the distant and recent past. History is likely to be a big part of your Cambodia travels starting with the temples of Angkor. The Angkorian Khmer kingdom flourished from its capital around modern day Siem Reap between the 9th and the 13th centuries. At its peak, the Khmer kingdom dominated much of the territory of modern Thailand, Laos and Vietnam. Hundreds of temples are spread across hundreds of kilometres. 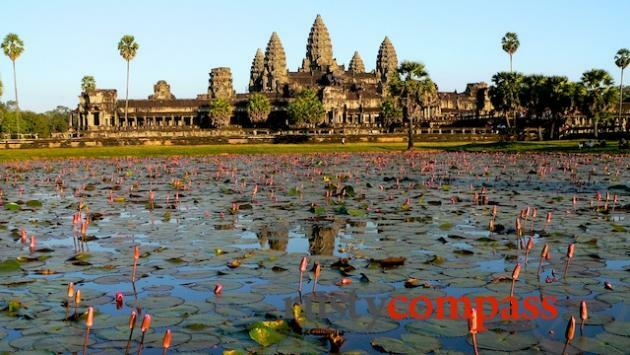 The highlights are easily accessed from Siem Reap. The more time you spend, the more you’ll appreciate the beauty and scale of Angkor’s temples. Museums covering the Angkorian period include the relatively new Angkor National Museum in Siem Reap and the main collection of the period at the National Museum in Phnom Penh. 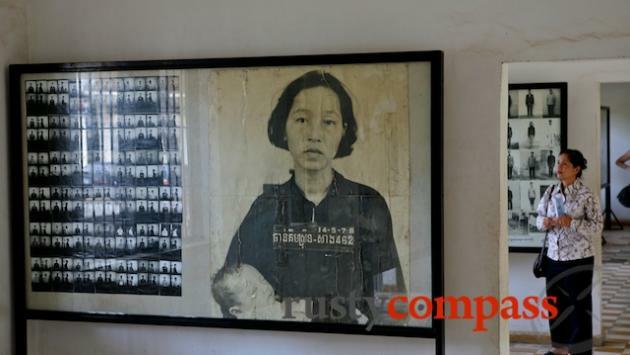 Cambodia’s recent history is a more sombre journey and given voice in the capital Phnom Penh at the Tuol Sleng Genocide Museum and the Killing Fields of Choeung Ek. Close by the temple of Banteay Srei outside Siem Reap, the Landmine Museum charts the crippling toll of landmines on the Cambodian people. The Royal Palace in Phnom Penh is far less grand than its counterpart in Bangkok but well worth a visit during a stay in the capital. Cambodia’s beautiful southern coastline is enjoying increasing popularity with travellers. Some of the best beaches are around Sihanoukville and on nearby islands. Sihanoukville itself is struggling to define itself and is on the verge of being subsumed by a booming backpacker party scene and an increasingly seedy nightlife. Kep is a delightful small town though its beaches - rocky in parts - are perhaps less attractive to ocean swimmers. The offshore islands sport stunning beaches. 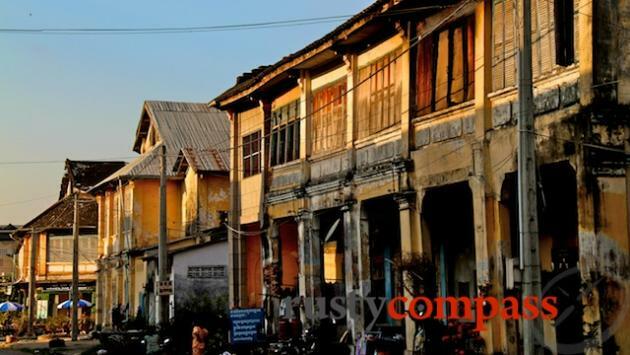 Battambang and Kampot are probably the loveliest of Cambodia’s former French colonial provincial towns. There’s not a whole lot happening in either place - despite Battambang being Cambodia’s second largest town. They’re well away from one another as well - Battambang in the north west and Kampot on the southern coast. 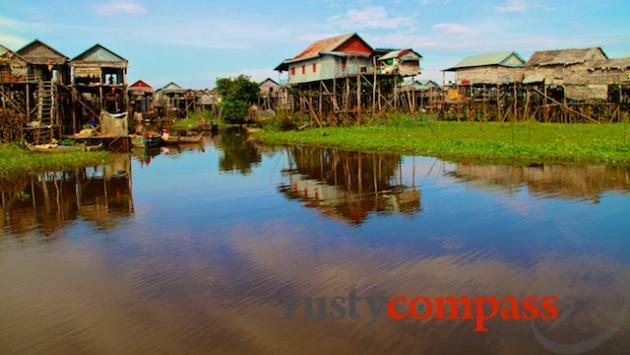 They share a laid back atmosphere, faded French architecture and proximity to rural Cambodia - the real Cambodia. There are also some wonderful temple ruins scattered outside both towns.